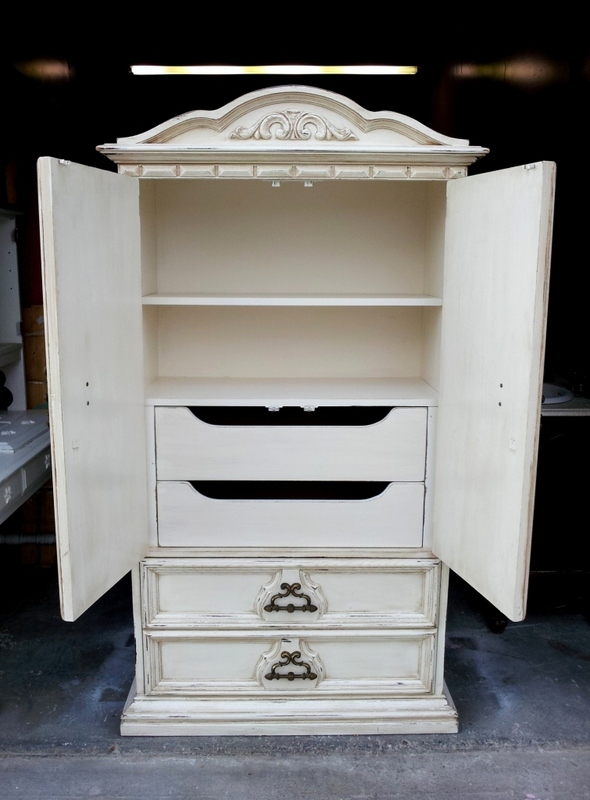 Vintage dresser mirrors are great candidates for an upstyled look. 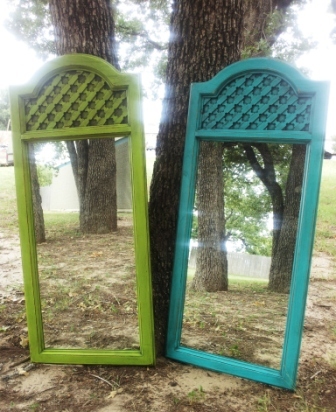 There matching mirrors, dated “1971” on the back, were set free in Lime Green and Turquoise. Both are distressed and with heavy black glaze. They are each 45″ tall, and just 19.5″ wide, providing a narrow wall space with a lot of pop! 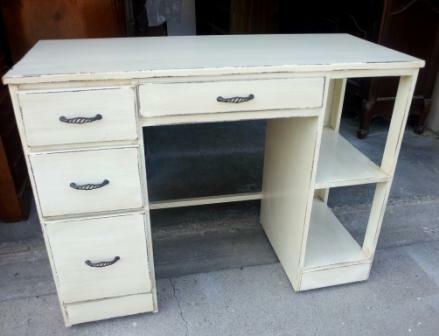 Desk with shelves, painted Off-white, chippy distressed, and with Tobacco colored glaze. New hardware. of upstyled pieces, go HERE. in albums showing Bedroom Furniture andLiving & Dining Room Furniture. 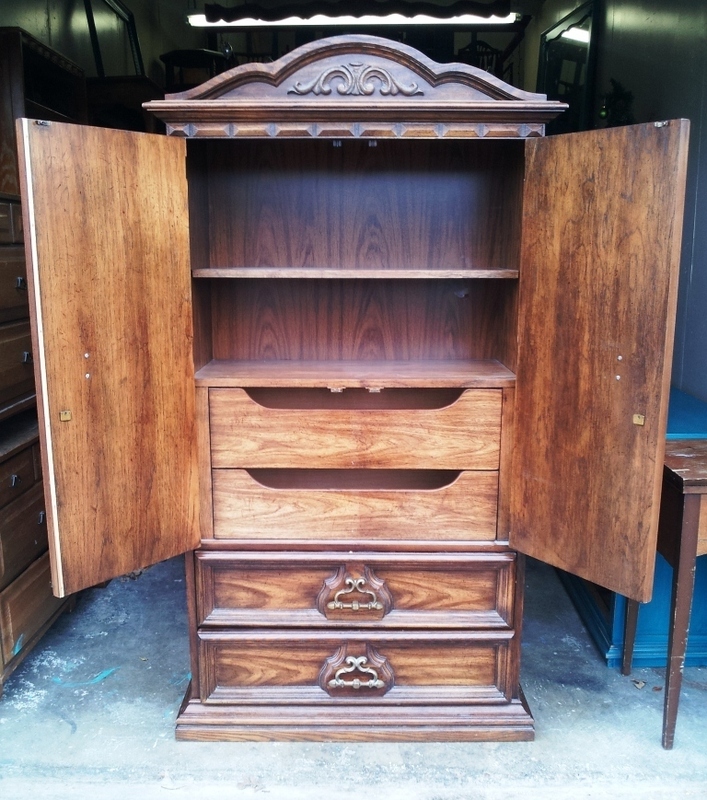 Half the fun with upstyling old, dated, weary and worn furniture is seeing the potential. 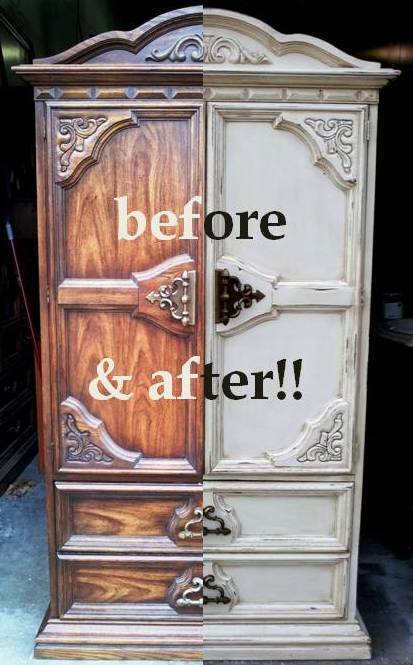 A recent customer saw what could be done with this clothing armoire, and here are photos to show its transformation. 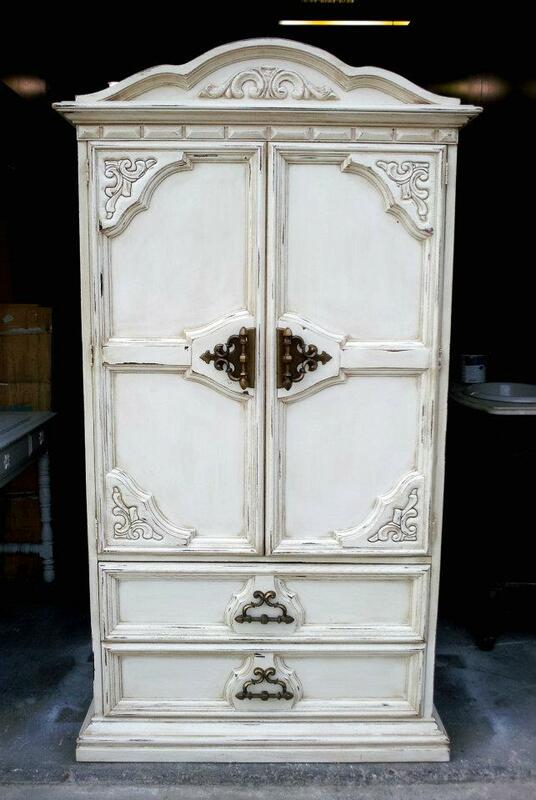 The armoire was painted Off-white, distressed, and with tobacco colored glaze accenting the detailed areas. All original hardware retained. 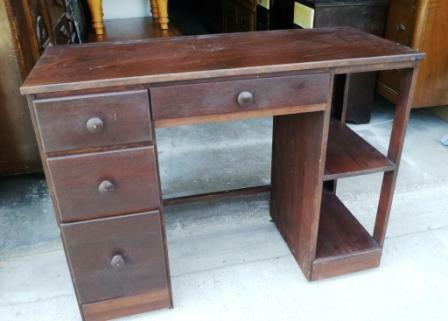 Antique vanity desk, in distressed Sea Blue, with Black Glaze. 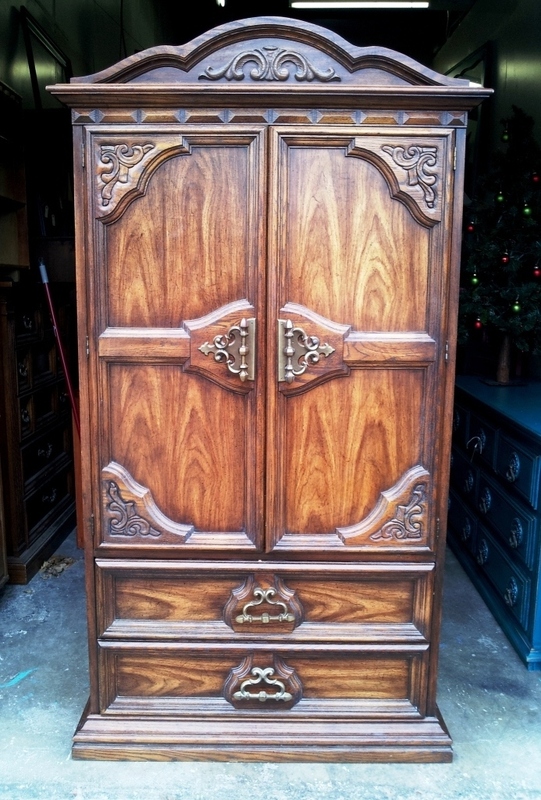 Great accent piece with its compact size and great character. Original pulls. 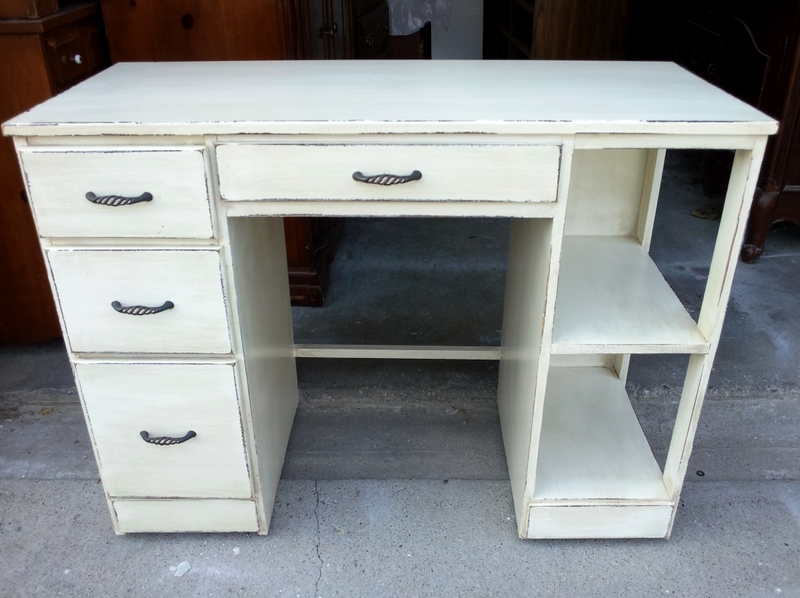 For even more ideas for refinishing with paint, glaze, & distressing, browse our Desks & Vanities album below!